"This painting is the first piece in my Country Church collection. I have a fondness for all county churches. I'm particularly attached to Blossom Hill Church, since within its weathered walls my wife and I were wed!" 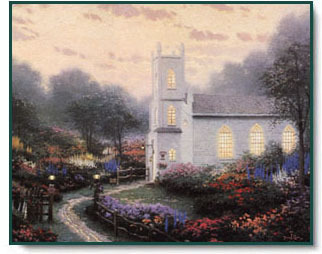 Blossom Hill Church copyright© 1992 by Thomas Kinkade.